Not so much a grab bag as a "oh, look at this," as I was cleaning up, this weeks springboard is the World's Finest trade by Gibbons and Rude. 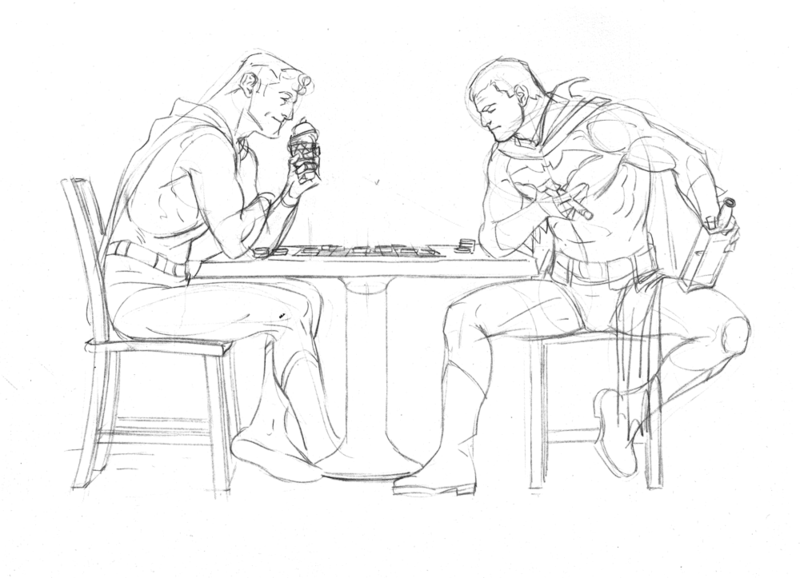 It's easy to forget these days but, once upon a time, Superman and Batman were actually friends. If I didn't know better (and I don't) I'd swear Luther is modeled on the Donald without the ferret on his head. Steve Rude mentions in his intro the flack he took for his original rendition of Batman. No one loves the Dude's stuff more than me but, sorry Dude, they were right to stand you down on that one. Let's just say, the less Bob Kane in our Batman, the better.